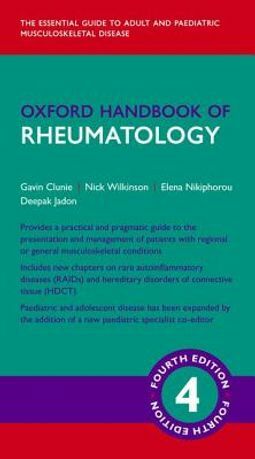 The Oxford Handbook of Rheumatology, 4th edition has been fully reviewed and updated to make it into an invaluable guide for students, trainees, consultant rheumatologists, and everyone caring for patients with musculoskeletal disease. With the addition of a paediatric rheumatologist to the editor team, this new edition is a fully functional rheumatology handbook for patients from childhood to adulthood. Practically structured, the handbook focuses first on presenting symptoms and then considers key diseases, emergencies, and rare diseases in detail. 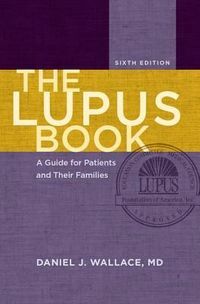 There is a comprehensive and updated account of assessment, guidelines, and treatment options. The text has been condensed with bullet points and summary boxes so the reader can focus on the essential information. To aid understanding over half of the images have been updated and the colour plate section has been expanded. 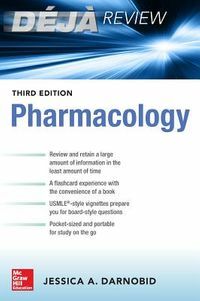 Taking a clinical, evidence-based approach, written by experts, and presented in a clear, practical, bullet-point style for rapid reference, this handbook will be your constant companion and a joy to use.